Application : spices powder, masale, milk powder, flour, atta, dairy whitner, Coffee powder, premix powder, detergent powder, instant mix, pharmaceutical powder, talcum powder and any types of fine powder etc. 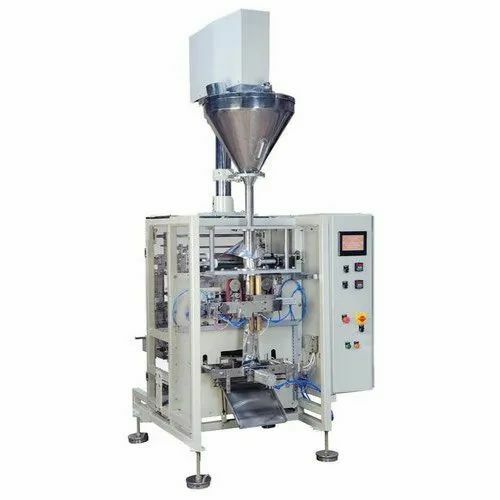 Vintech packaging systems offering advance packaging solution with high speed and high weight accuracy.Our mission is to improve our quality and come out with better products for customer satisfaction - our prime concern. We are endeavoring to provide premium quality products at competitive prices. Production Capacity 50 gm to 1 kg. Vintech Packaging Systems take pride to declare that we offering effective solutions to various industries while adhering to high quality, dependable delivery schedules and competitive prices. We provide customized and reliable packaging solutions to our customers for fulfill their packaging needs. We offer high weight accuracy, high speed and low maintenance packaging machine with high quality and high standard. We are serving to food industries and non food industries for packing their product such as snacks, namkeen, chips, pulses, grains, grocery items, whole spices, spices powder , chilli powder, turmeric powder, masale, milk powder, dairy whitner, Atta, maida, flour, instant mix , premix powder, tea, supari, pan masala, frozen food, rubber product, auto parts,etc. With customer satisfaction as our prime factor, we have designed our product keeping in consideration the requirements of our valuable clients. With a perfect blend of experience and innovative ideas, we deliver high performance packaging machine. We concentrate on offering value-added services to our customers and satisfying emerging market needs. Our vision is to go above and beyond to ensure your satisfaction and guarantee benefits for your business.